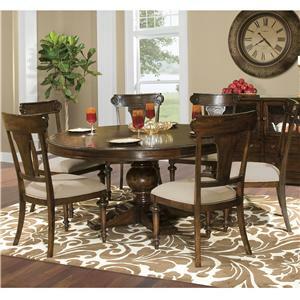 Gather your family and friends around this traditionally styled elegant table and side chair set. 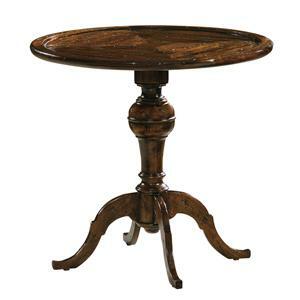 The beautiful pedestal leads up to the round spacious table top, perfect for serving your home cooked meals at. 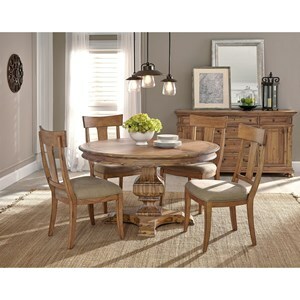 This elegant side chair ensures comfort as you dine. 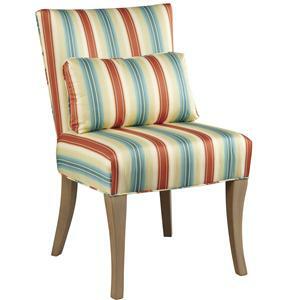 Turned legs and tapered legs give this side chair many different stylistic traits that all combine together for a classy, traditional chair. 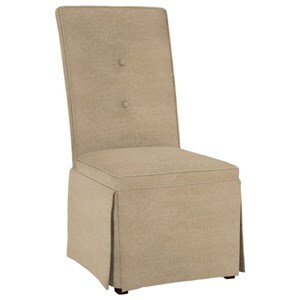 A fabric seat in a natural color pairs beautifully with the Mahogany veneers covered in the Charleston Place finish. 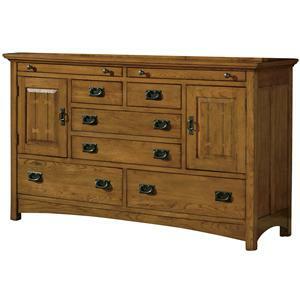 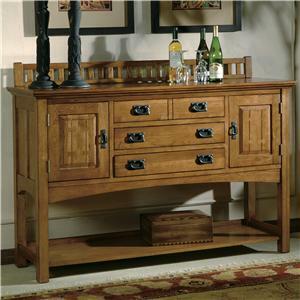 This dining sideboard from the Arts and Crafts collection has a subtle yet warm style that will add value to your home decor. 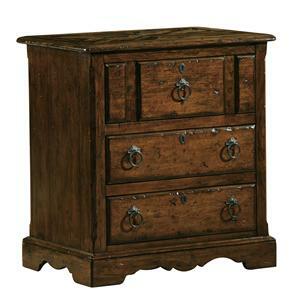 Made from oak solids and oak veneers, this side board has four drawers for your storage needs, two doors with walnut veneers butterfly inlays, one adjustable shelf behind each door and a lower shelf for added storage. 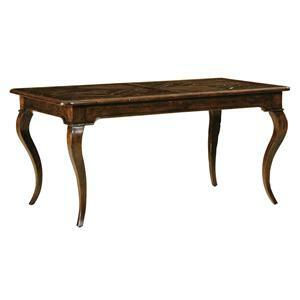 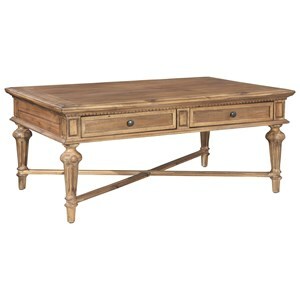 Metal hardware and a Mission Pointe finish top off this piece.